XCAP-LTD captures video to computer memory and more..
XCAP-STD streams video to disk and performs image processing and more..
3rd Party software solutions also available. The optional TTL Module minimizes false triggers when using a TTL trigger with a cable longer than one foot. The TTL MODULE converts the TTL trigger into a differential signal for reliable triggering with up to 200 feet of cable. The TTL MODULE also can generate a TTL strobe from the attached PIXCI® board. 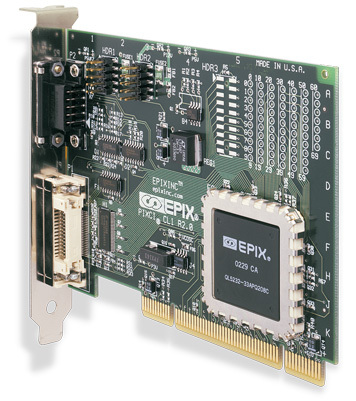 Compatible with PIXCI® CL1, CL2, CL3SD, D2X, D3X, SI, and SI4. PIXCI CL1 was tested per EMC directive 89/336/EEC and performed to class B.